Yamaha Motor Europe is offering all talented YZ125 riders that were born between 2002 and 2005 an extended chance to enter the 2018 YZ125 bLU cRU Cup where he or she could win a professional contract with Yamaha Motor Europe to race the 2019 EMX125 European Championship. Registration will now close on the 28th of February. In search of new motocross talent, Yamaha is running a competition where one promising young rider will be awarded a place within the Official Yamaha EMX125 team, where he or she will be supplied with a GYTR kitted YZ125 to compete in the 2019 EMX125 European Championship season. The competition is open to all registered YZ125 riders who will be racing in 1 of 15 approved national championships. Up to 44 of the best performing riders will then be invited to finish the season by racing in The YZ125 bLU cRU Cup Superfinale, which will be held on the 29th and 30th September at the final round of the FIM Motocross World Championship in Imola, Italy. The riders who finish inside the top three in the Superfinale, plus two wildcard riders selected by a jury, will be invited to attend the bLU cRU Masterclass at the end of the season. The Masterclass is designed to inspire, educate and develop the next generation of motocross riders by providing an exclusive insight as to what it takes to be a champion. 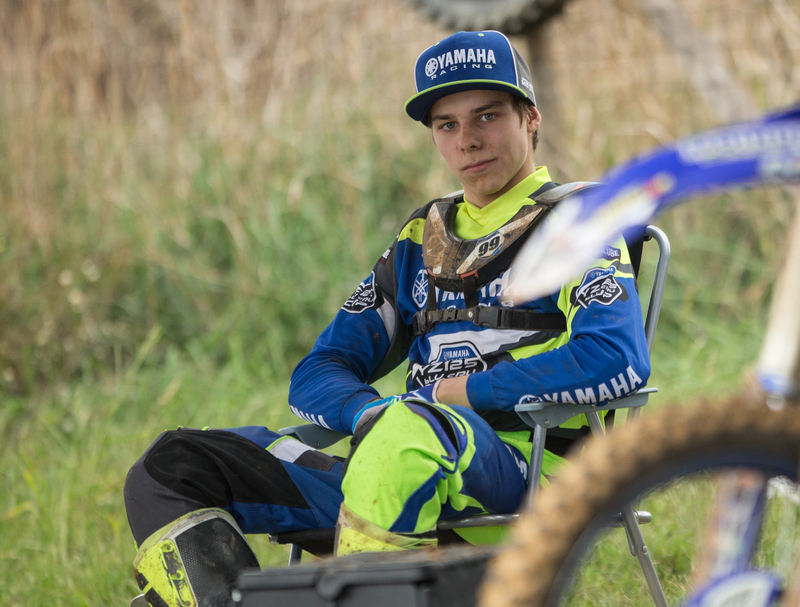 It will be run by a highly acclaimed bLU cRU ambassador and will take place over three days where the jury will select and reward one lucky rider who has proved he has the talent, motivation and desire to be something great, with a contract for the 2019 European Championship EMX125 season on the MJC Yamaha Official EMX 125 team. Due to an increase in popularity, registration has been extended to 28th of February, it is FREE of charge, so get in quick! As an official bLU cRU member you will receive a free bLU cRU welcome pack following your registration. The pack contains: two T-shirts, a hoody, an umbrella, a cap, a backpack, a bLU cRU water bottle and an exclusive YZ sticker kit that all European YZ125 bLU cRU Cup contenders are obliged to use whilst racing in their national championships, and, in case qualified, in the YZ125 bLU cRU Cup SuperFinale and Masterclass.